This pattern was so fun and just flew. I'm sure it had to do with the gauge of the yarn as well; I got gauge on US 3's (pattern called for 2's), but the column gauge had to have been way off too-- I have a sz 9-9.5 foot and only got thru 3.5 repeats of the pattern before I started the heel, and did 7 repeats total (the author had 11 total repeats). I also only knit 4 rnds of p2, k2 at the cuff. Bound off using US 6's, and they're super comfy. This was only the 2nd pattern (Pomatomus was 1st) that I knit using a chart-- I had a fear of charts til now. 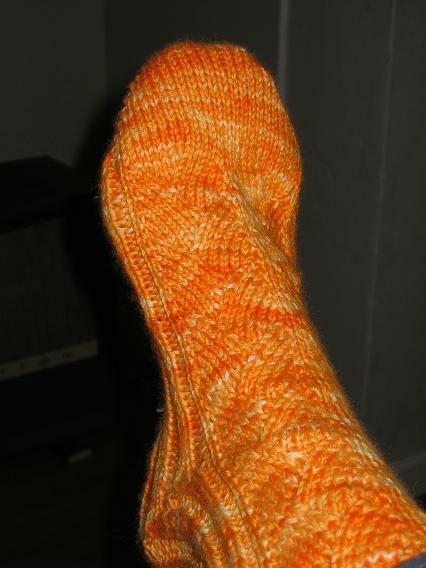 I also pretty much taught myself short rows with this pattern, which is a huge reason why I love knitting socks... I just dive in and hope there's a tutorial online to help with any snags. In this case the 1st sock I knit has some funky holes on the purl side pickups for the shortrows; this month's Interweave Knits had a tutorial/refresher on short rows and I found their illustrations quite helpful (so no wonkiness on the 2nd sock as far as short rows are concerned). Your socks turned out beautiful! Love them - really makes me want to try dying again! Gorgeous! 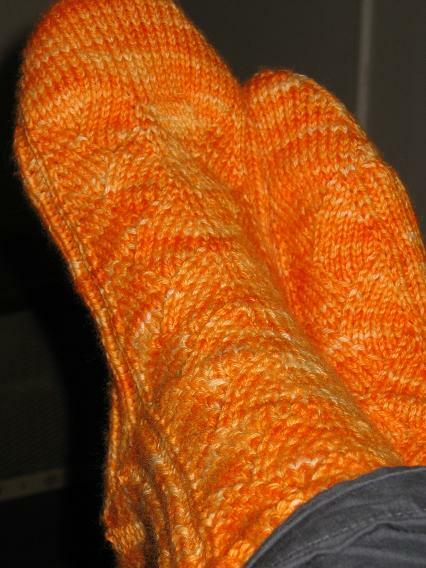 Orange is one of my favorite colors, and the sock pattern is just fantastic. Great job! those are so pretty. i was pretty eh on the pattern until i saw yours. now this one's going on my list. Cool! Your socks are so pretty! I can not believe you got that color and shading from Kool-aide! I'm gonna have to try that! Those are great socks! 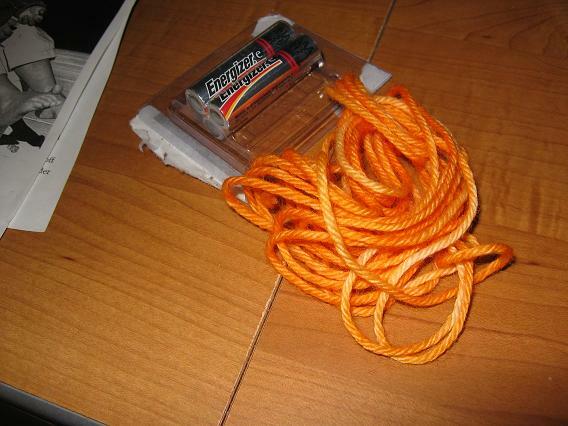 I'm thinking of trying some kool aid dyeing but haven't gotten around to it yet. What beautiful socks. The color is great. 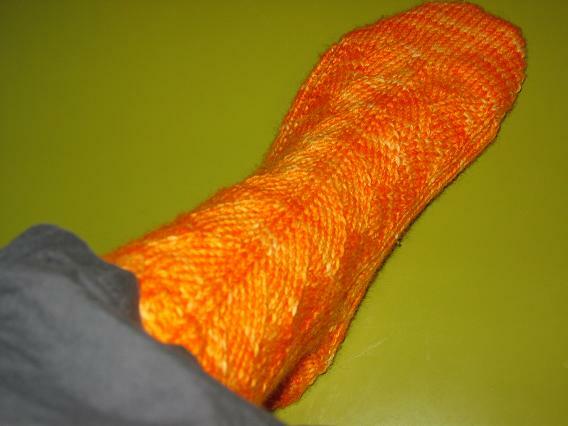 Makes me want to knit some more socks!